With your wedding day just around the corner, what better way to prepare yourself than by visiting the spa? You’re nervous, your stress levels are at an ultimate high, and if you have to deal with one more problem you’re going to have a complete meltdown. That is, until you take a deep breath and visit the Beach Plum Spa for some serious R&R. To help you find your zen, we rounded up the treatments you need to know about – and book! – right now. Why not make a weekend out of it and bring your besties along with you to be pampered? There are so many fabulous ways to throw a bachelorette party these days, but a spa and pool weekend getaway is a classic bachelorette combination with good reason. Everyone in your bride tribe will definitely appreciate a little R&R, and a more low-key pace means more quality time with the bride-to-be. Not to mention, a gorgeous pool is always a solid choice for a bachelorette ensemble photo-op! The Cape Codder Resort & Beach Plum Spa in Hyannis features an incredibly elegant heated outdoor pool (open year round!) while the Dan’l Webster Inn & Spa in Sandwich features a seasonal outdoor pool, surrounded by lush gardens, perfect for a late spring or summer bachelorette getaway. Bonus: both hotel locations offer a “Girls Getaway Package” that includes one or two nights accommodations, spa pedicures, 50 minute massages, customized facials, and meal allowance. From healing massage to an energizing pedicure – we’ve made a list of 5 spa treatments that are sure to unleash your inner calm and leave you looking and feeling your best on your wedding day. Massage is a deeply relaxing experience that not only relieves tension and aching muscles, but also allows for an incredible opportunity to clear and quiet your mind of all those racing thoughts and endless wedding to-do lists. The Beach Plum Wellness Massage is a classic form of full-body massage combined with warm towels and soothing strokes. Before your massage, your therapist will discuss your goals in order to focus on any problem areas. To maximize the benefits of this massage, schedule a series of six-50 minute massages for $480. 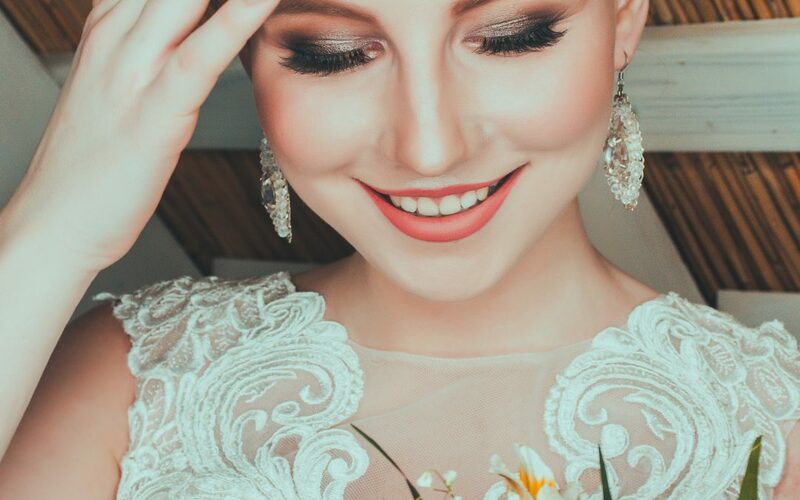 Every bride should have that special wedding glow – but, we all have that one stubborn skin problem that we just can’t seem to shake. With this customized facial, you can kiss it goodbye and bring out your natural, glowing beauty for your wedding day. Your esthetician will customize this treatment for your specific goals and needs, whether its problem or aging skin. This blissful facial incorporates hyaluronic acids, essential oils, fruit acids and enzymes. Cleansing and stimulating exfoliants will increase oxygen and blood flow – resulting in firmer, smoother, more radiant skin. Say “Hello” to your bridal glow! Brides have tons of things to worry about and lashes shouldn’t be one of them. With a never-ending wedding to-do list, the convenience of never having to apply mascara can’t be overstated! More than that, eyelash extensions are beautiful and will make your eyes absolutely POP. Eyelash extensions are perfect for gorgeous, volumized, camera-ready wedding eyes! Please plan this service a couple of days ahead of your special day. Waxing is a great way to get ready for your wedding day and honeymoon. With a Brazilian wax treatment right before your big day, there will be no need to shave throughout your honeymoon. That means you can feel comfortable in your cute new bikini without having to worry about stray hairs, or worse, painful and unsightly razor burn. For those who have gotten waxed before, two to three days before your big day is ideal. If you have never waxed before, it’s a good idea to call and schedule an appointment about ten days before your wedding date, then come in two days before for a touch up. Soothe your bridal soles to complete your head-to-toe pampering! After all, everyone will have their eyes on your hands during the wedding, but guests will inevitably notice your feet if you’re wearing open-toed shoes. Plus, if you’re going on your honeymoon right after the wedding you’ll want your tootsies looking their best while you’re sunbathing poolside or walking on the beach. This pedicure incorporates the perfect blend of products using cranberry for its antioxidant properties. Enjoy a refreshing Cosmo while you pamper your feet. You deserve it!